Every Fadel Law Firm client is unique. 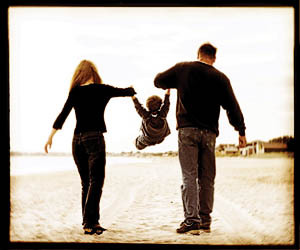 Each client has different needs and desires from their estate plan and we understand that. Every estate document needs to be personalized and customized to adequately address the needs, desire and situation of each client. A boiler plate approach never yields the results of a customized plan. We begin each relationship with our clients by sitting down one-on-one with you and doing more than asking a few scripted questions. After fully understanding your specific needs and desires, we guide you step-by-step through the process, from explaining in detail the design of your estate plan, to creating your estate planning documents. Our process is thorough and complete with specific attention to detail to ensure that your documents are as encompassing as needed. We aim to provide you advice that meets your exact needs. After your estate planning documents are created, we continue to work with you to title your assets properly to make certain your estate plan will work as designed. Our goal goes beyond the creation of your documents�our goal is to see your estate plan fully functional. As your family changes, your assets fluctuate, and laws are re-written, your estate planning needs will also change. Estate plans need to be kept current and updated to maximize their effect and properly protect you and your family. We aim to develop an ongoing relationship with every client, routinely evaluating clients� estate plans and continually refining our tactics to give you and your family the best results. �2007-2010 The Fadel Law Firm. All rights reserved.